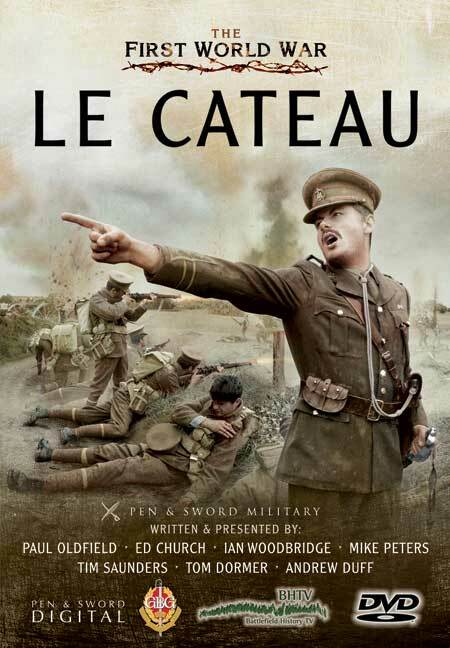 You'll be £12.99 closer to your next £10.00 credit when you purchase Le Cateau. What's this? Having temporarily checked the Germans at Mons the BEF had no alternative but to withdraw as they were outnumbered by the enemy and Lanrezac's Fifth French Army was falling back. The Germans, however, were soon in hot pursuit, sensing the BEF were at their mercy. In a series of rear guard actions the BEF managed to hold – just. Despite Field Marshal French's instructions General Smith-Dorrien knew that he had to turn and fight on the open chalk hills above the town of Le Cateau. Here II Corps stood as the German pressure mounted and a desperate battle resulted as more and more German troops came into action; men fell, guns were lost and saved but again the BEF were able to escape. The BHTV team again take the viewers to the heart of the action to examine weapons, tactics and raw heroism as they tell the story. Illustrated with maps and location scenes, they make this most complicated of British battles easily understandable. This DVD is wonderful, entertaining and deals expertly with the subject. Well worth the investment. The program is a good mix of narration from a team of historians and battlefield guides, including a high percentage of it recorded on the battlefield itself, showing the open countryside where this took place. A good one to watch if you plan to make a visit to the area of the battlefield yourself. The BHTV team have captured the drama of Le Cateau, the acts of great bravery and determination in the face of great odds, and an outcome that was far more than could be reasonably hoped for. Another excellent addition to the WWI DVD portfolio.